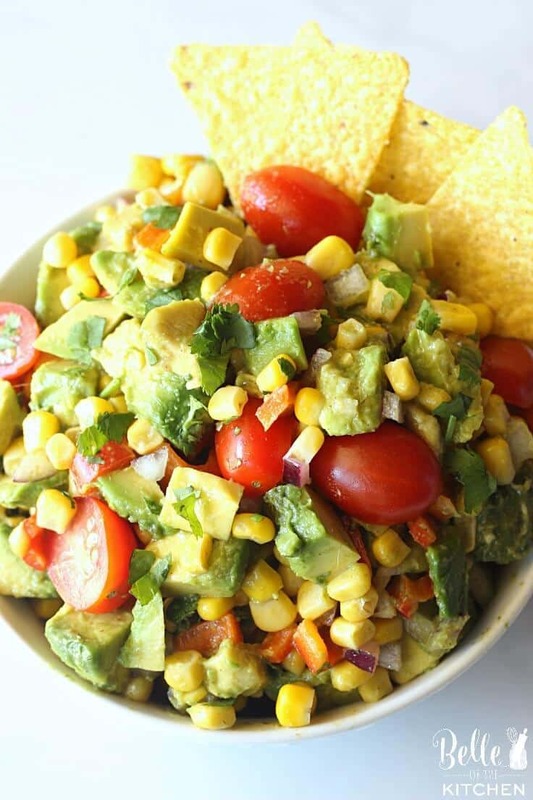 This corn and avocado salsa is full of fresh and colorful flavors. It’s perfect served with chips, or try it as a yummy topping for grilled chicken or fish! Buenos dias, Kenarry readers! I’m Ashlyn from Belle of the Kitchen and I’m back and ready to share a new recipe with all of you for our Ideas for the Kitchen exchange, a blog series where Carrie and I swap recipes once a month. 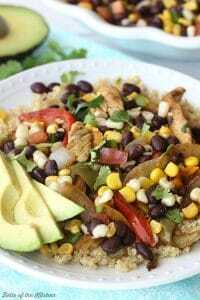 Since Cinco de Mayo is just a day away, Carrie and I decided it would be fun to share recipes that would lend well to helping you celebrate! 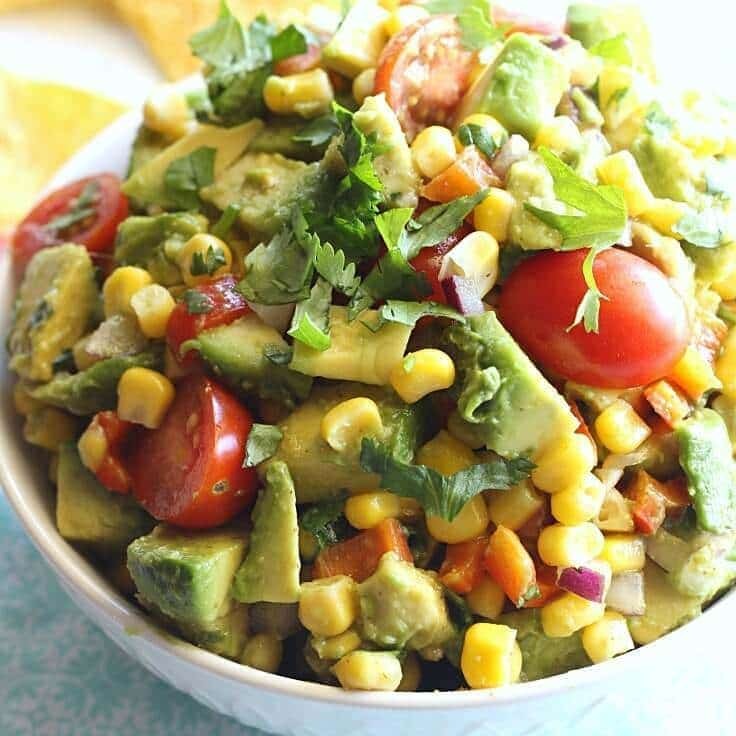 Today I’m sharing a Corn and Avocado Salsa, which makes the perfect appetizer for your next Mexican-themed fiesta! If you’re looking for Carrie, you can find her over on my blog today where she’s sharing her recipe for Homemade Pico de Gallo. I don’t know about y’all, but I could gladly live off of Mexican food everyday and be perfectly satisfied. There’s nothing I love more than sitting down with a jumbo-sized basket of chips and salsa and eating till I’m absolutely stuffed, and then wondering how I’m going to make room for the enchiladas I ordered. Do you do that, too? If you do, I don’t think it’s something that we should feel badly about. 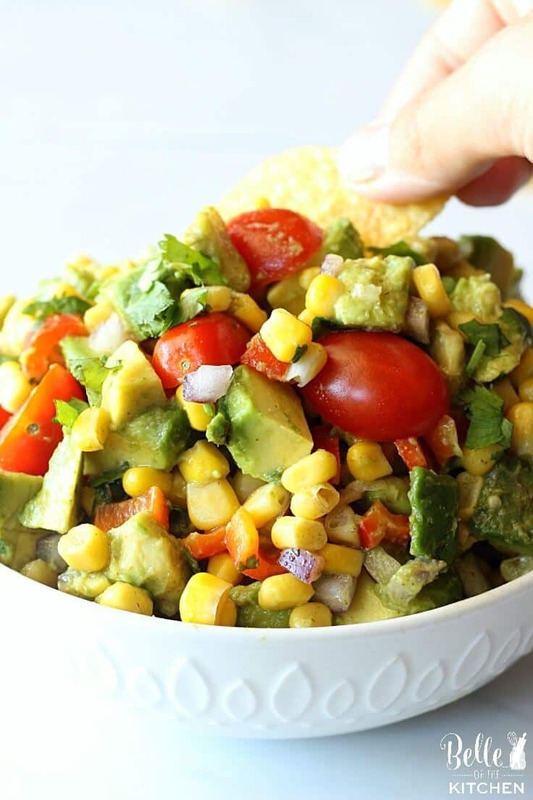 I mean, it’s just really hard to have any kind of self-control when chips and salsa are involved, and this Corn and Avocado Salsa is no exception. I love it because it’s a fresh and chunky version, and is packed with one of my favorite foods: avocados! This Corn and Avocado Salsa is so yummy when you eat it with chips, but I also love to use it as a topping for grilled chicken or fish. You could also stuff it into taco shells for a meatless dinner option, too! 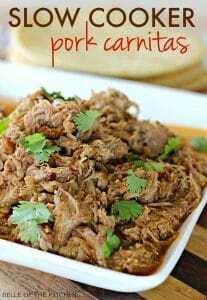 Whatever way you like to serve it, it would be perfect for your Cinco de Mayo celebration! Do you have big plans for Cinco de Mayo this weekend? Will you be eating lots of chips and salsa, and maybe kicking back with a margarita or two? Share your meal ideas with Carrie and I below! We’d love to hear them! 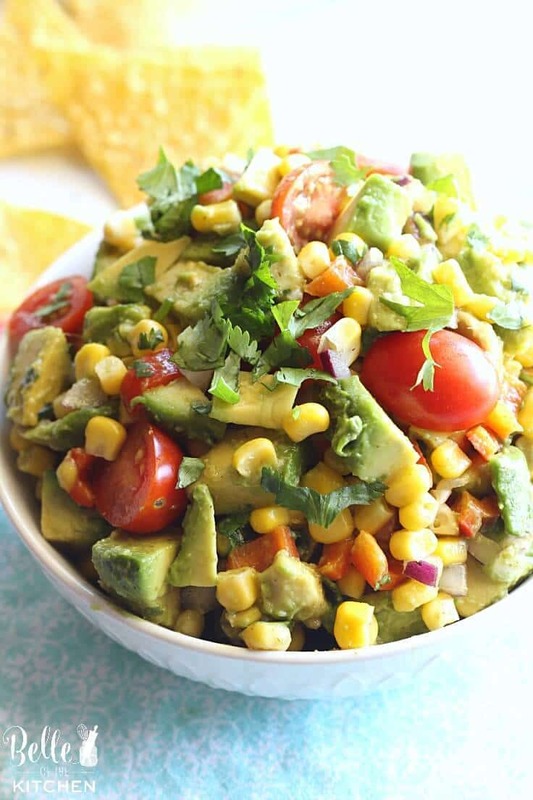 In a medium sized bowl, combine all ingredients except avocados and grape tomatoes. Mix well and store in the refrigerator until ready to serve. Right before serving, carefully mix in the avocados and tomatoes. Serve with tortilla chips, or use as a topping for grilled chicken or fish. Enjoy! Oh this salsa looks absolutely delicious! 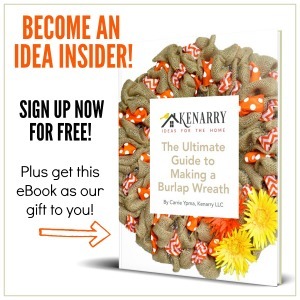 I can’t wait to make it! Thanks so much! Thanks Shana! I agree, it looks amazing. Can’t wait to try it too!